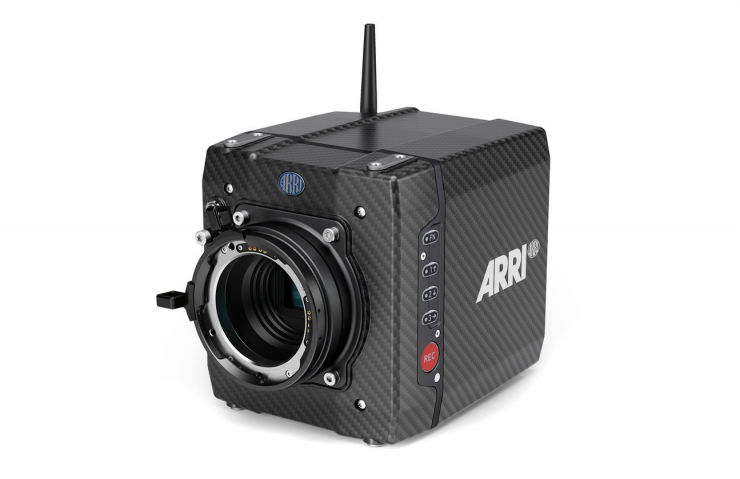 ARRI has just announced the ALEXA MINI LF. This certainly doesn’t come as any kind of shock. 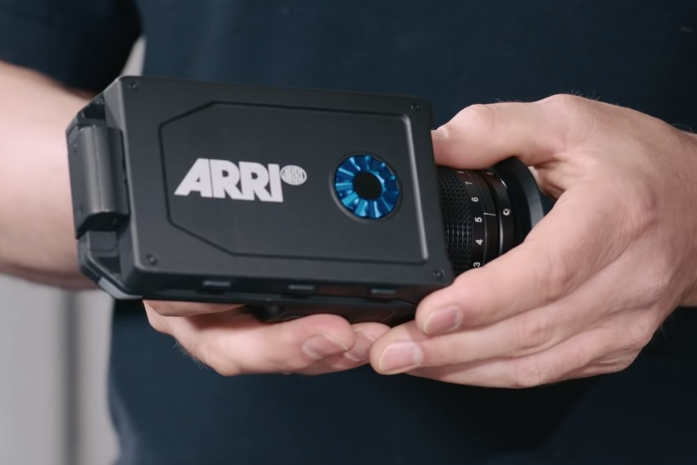 I don’t think there was ever any doubt that ARRI was going to announce a Mini LF, it was always just a question of when. 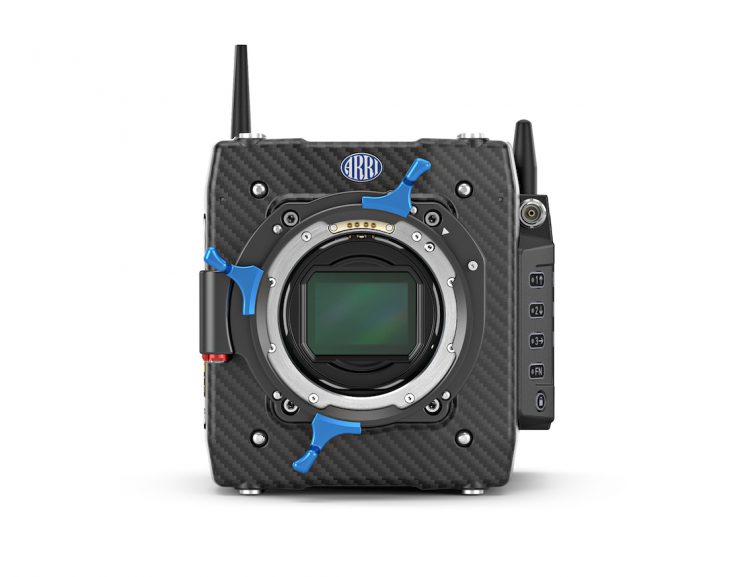 ARRI launched the ALEXA LF early last year and at the time they hinted that they were looking into the feasibility of building a Mini version but nothing had been decided. Netflix Approved UHD up to 60fps. 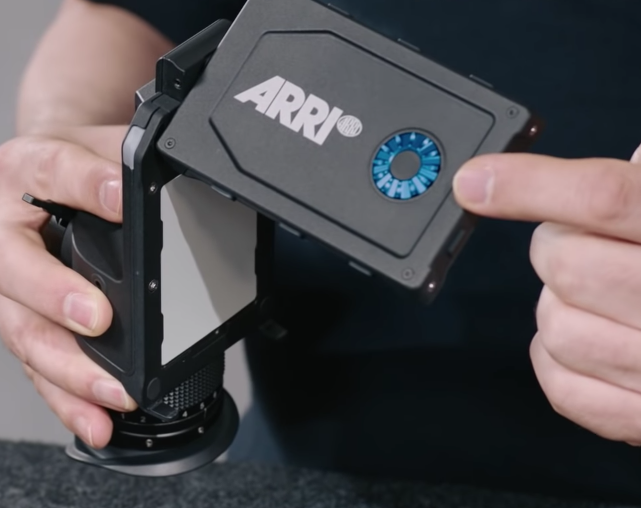 ARRI must have been working very hard over in Munich to not only fit the LF sensor into a smaller body but to also work out how to solve the associated heat problems. 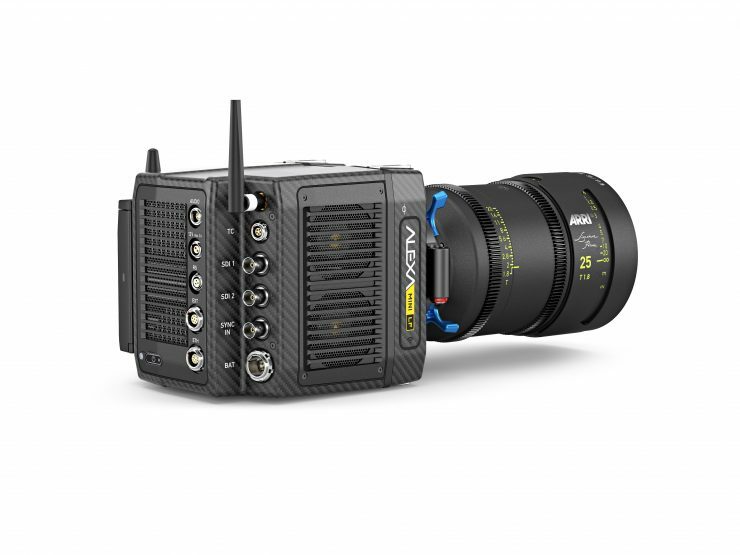 While not identical to the current ALEXA Mini in terms of size, it is very close. The Mini LF still shares the same basic design and form factor that users liked. The biggest difference, of course, is the sensor size. 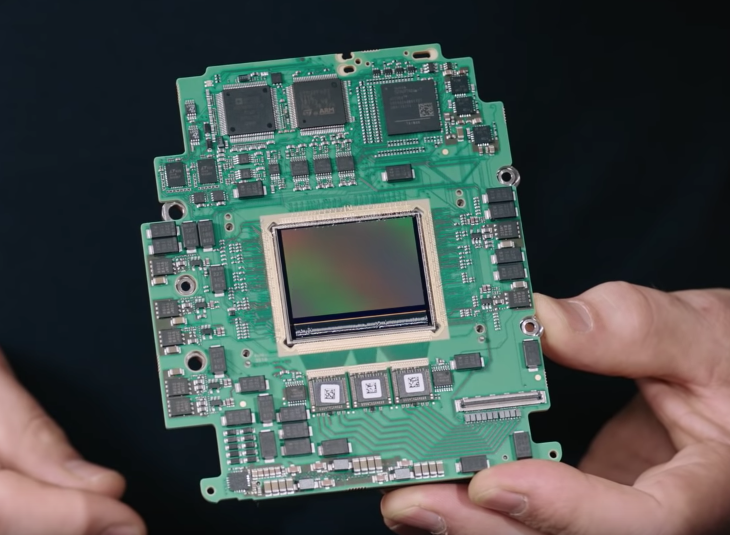 Even though the form factor is similar to the original ALEXA mini, the Mini LF has a type of module on the left hand side of the body. 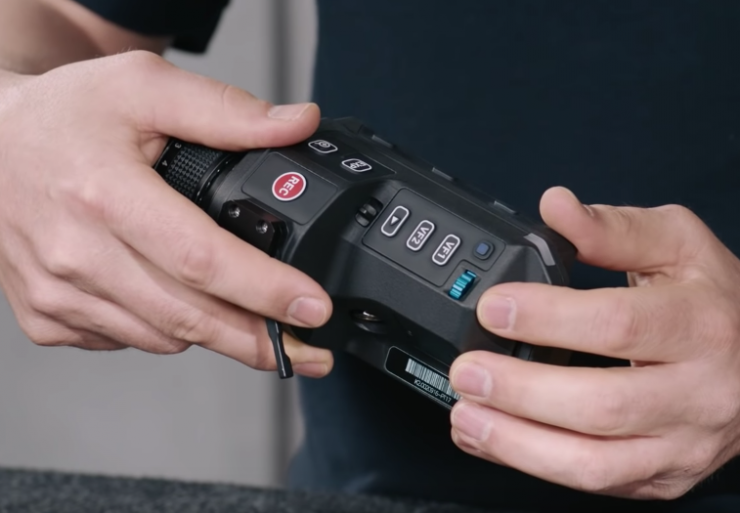 This module is where the recording media goes and where you will find the three new camera user buttons, for a total of six, as well as the record button and function lock button. The camera also has a built-in stereo microphone so there is no need to attach an additional scratch microphone. You will also notice that the camera has two large cooling fans that are visible on the right hand side of the body. 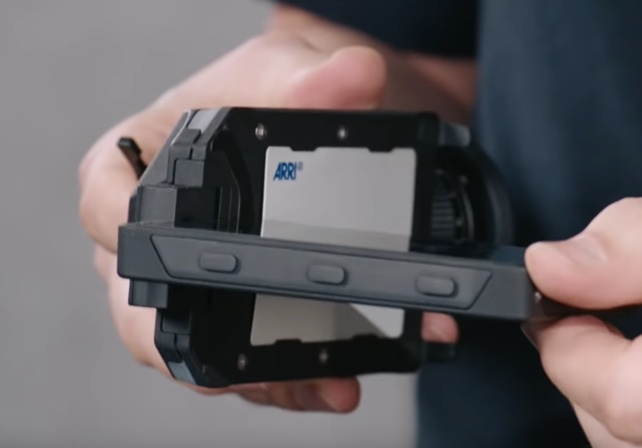 ARRI managed to optimize the cooling by placing a larger internal cooling vent in the space where the CFast 2.0 card slot was on the original ALEXA Mini. The back of the camera also has a large cooling vent. The ALEXA Mini LF is only marginally heavier than current ALEXA Mini. The weight is 2.6 Kg/ 5.7 lbs. The ALEXA Mini weighs 2.3 kg / 5.1 lbs. As ARRI had to fit a lot of the same functionality as the ALEXA LF into the Mini LF, they did have to compromise on a few things. The Mini LF cant do 150 fps like its larger sibling, and it doesn’t have space for three independent SDI outputs. 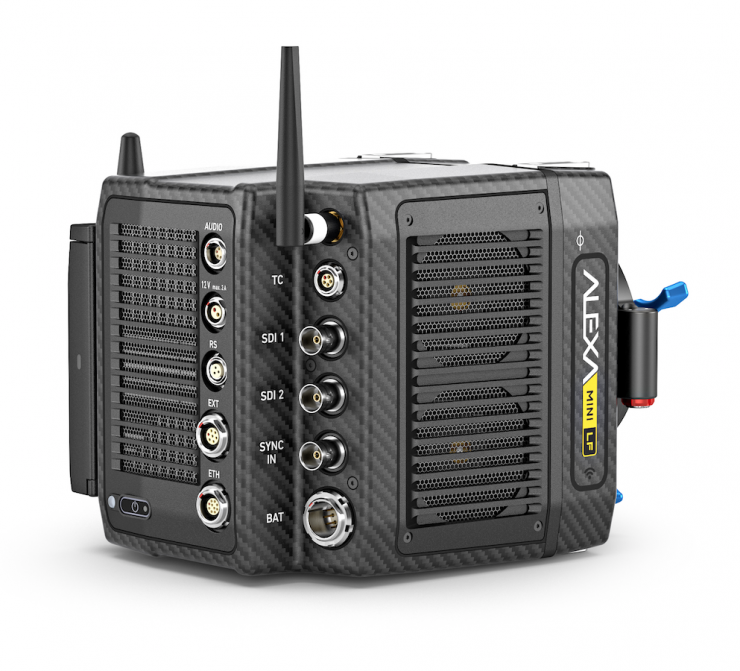 The ALEXA Mini LF has a voltage input range from 11 V to 34 V. Therefore, it can be easily powered by any 14.4 V on-board battery as well as by 24 V on-board batteries. 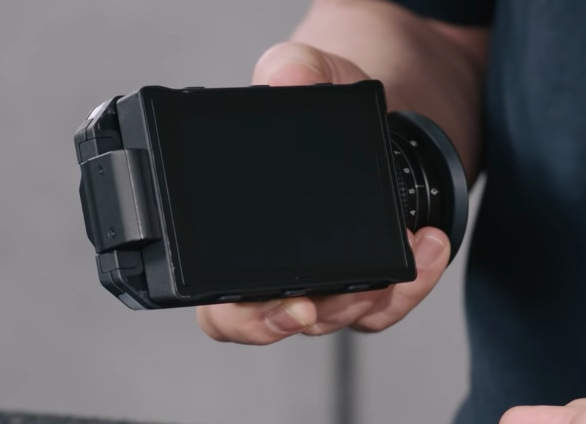 The ALEXA Mini LF has a power draw slightly higher than the ALEXA Mini, we estimate currently at around 65 W when recording ARRIRAW at 24 fps with the MVF-2 viewfinder connected. Note: electronic accessories will increase power draw based on the accessories’ power draw. 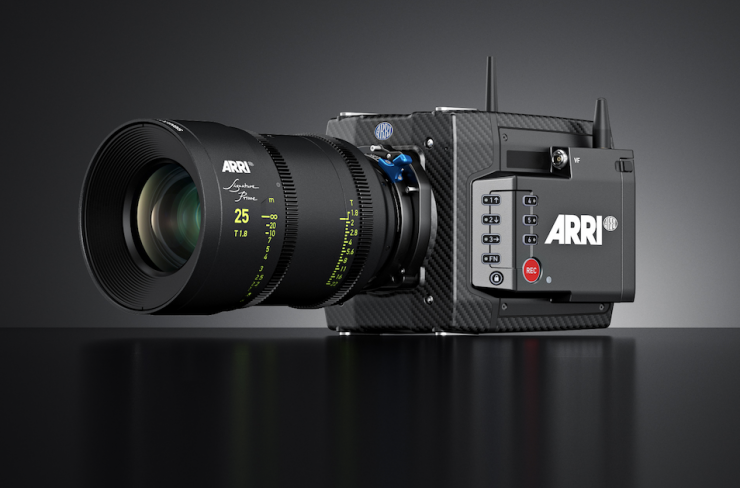 On 24 February 2015 Arri announced the original ALEXA MINI. It had the same sensor as the other Alexa cameras but was a shrunken down version of the larger ALEXAs that was meant to be for drones, gimbals and crane use. Little did ARRI know at the time, that the MINI has gone on to become probably the most widely used of all the ALEXA cameras. The MINI features in-camera recording to CFast 2.0 cards, the ability to record up to 200 FPS and 4K UHD in-camera upscaling. It can also shoot at various resolutions, including 4:3 open gate. 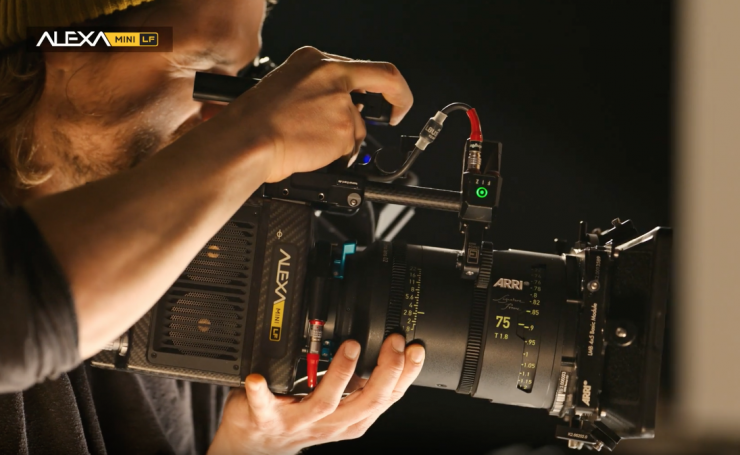 The Alexa Mini LF uses the same identical sensor that is found in the ALEXA LF. 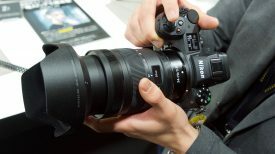 This is a 36.7mm x 25.54mm sensor that is slightly larger than full frame. 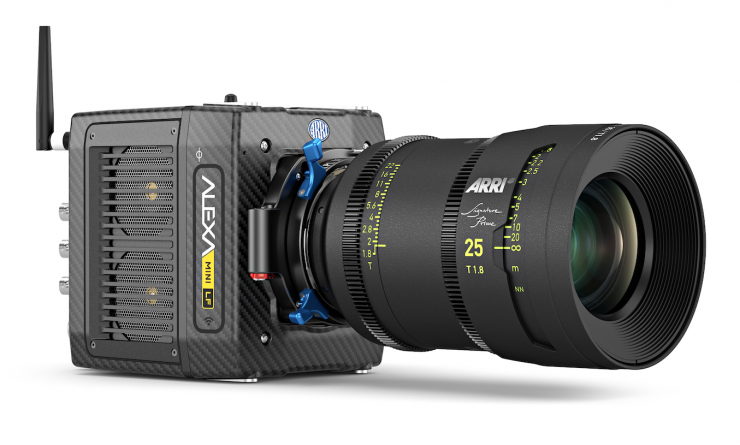 It’s 1.5x bigger than the ALEXA SXT, and the ALEXA 65 is 1.5x larger than the ALEXA LF. To put the sensor size is perspective, the Sony VENICE uses a 36.2 x 24.1mm sensor. 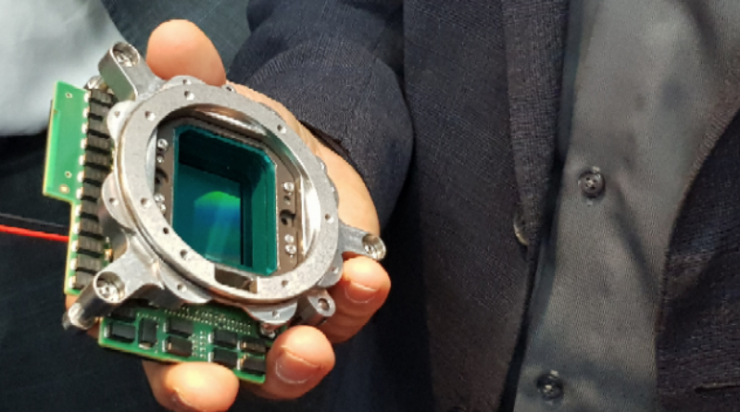 The MONSTRO 8K VV sensor that can be found in the RED WEAPON and Panavision Millennium DXL2 use a 40.96mm x 21.60mm sized sensor, and ARRI’s own ALEXA 65 has a whopping 54.12mm x 25.58mm (active image area) sensor. 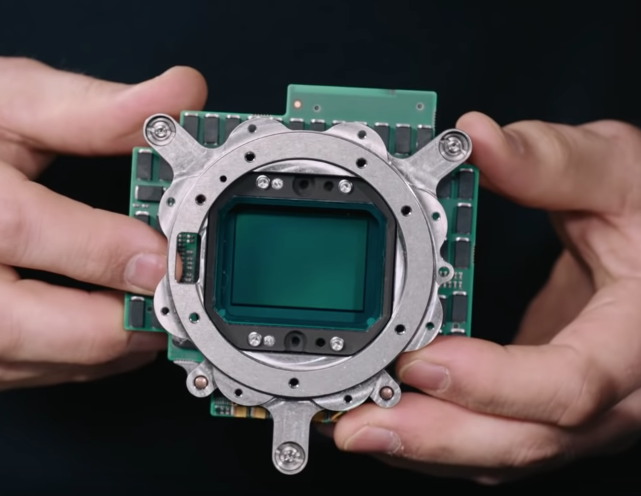 The ALEXA Mini LF’s A2X sensor isn’t really new per se, it’s based on two vertical ALEV-III sensors, which are stitched together to create a seamless large format image. 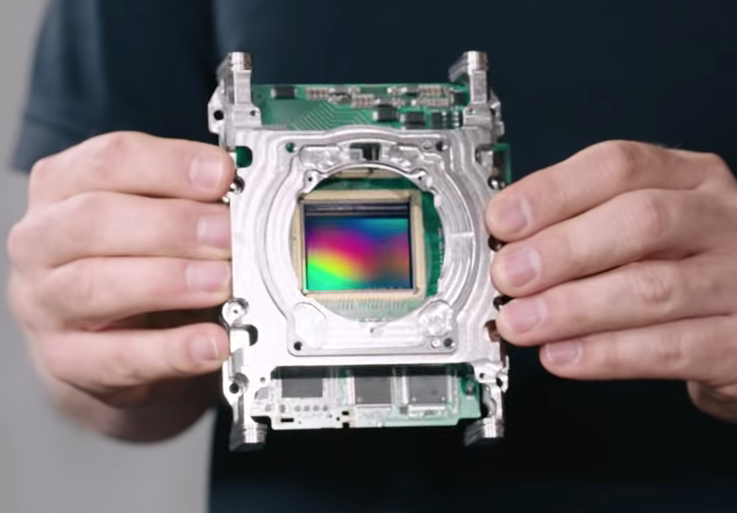 This is the same principle of how they created the ALEXA 65, which uses three ALEXA sensors that are arranged vertically. 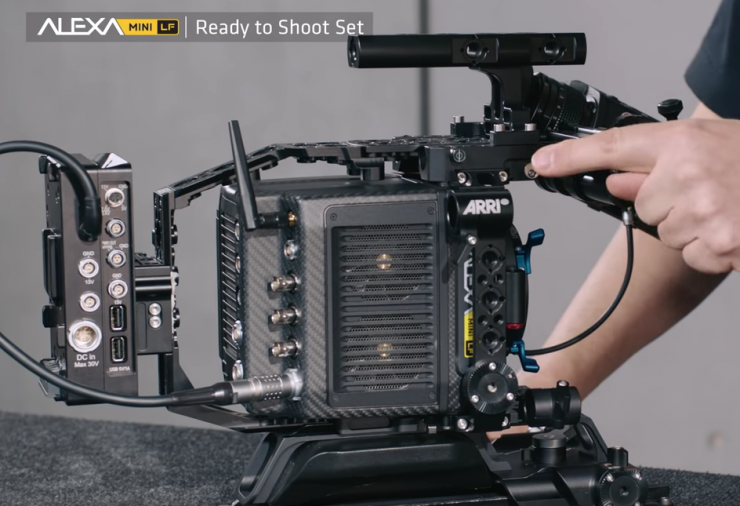 This is just the second camera (if you don’t count the ALEXA 65) that ARRI has released with a sensor that is capable of recording 4K images without the need for upscaling. 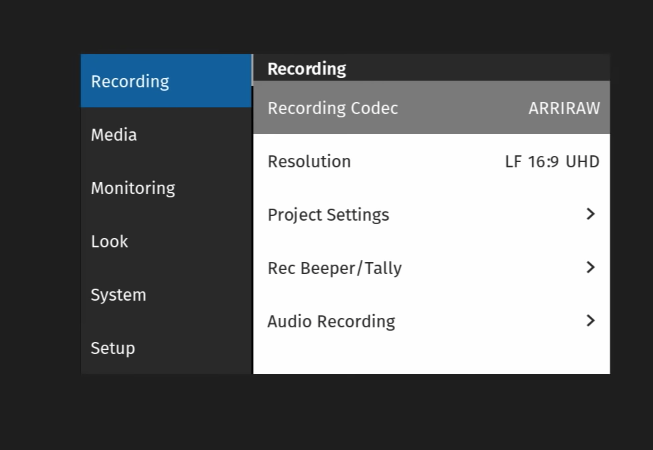 The ALEXA Mini LF can record in Open gate in a resolution of 4448 x 3096. Just like the Sony VENICE’s aspect ratio-agnostic sensor, the ALEXA Mini LF has the ability to be used in three different sensor modes. All features, resolutions and frame rates will be available from launch. LF 2.39:1 – 36.70 x 15.31 mm with (4448 x 1856 photo sites) @ 39.76 mm image circle. Combines a cinematic widescreen image with high frame rates up to 60fps. All sensor modes offer true 800 ASA sensitivity, as well as reduced noise. The EI values are between 160-3200. 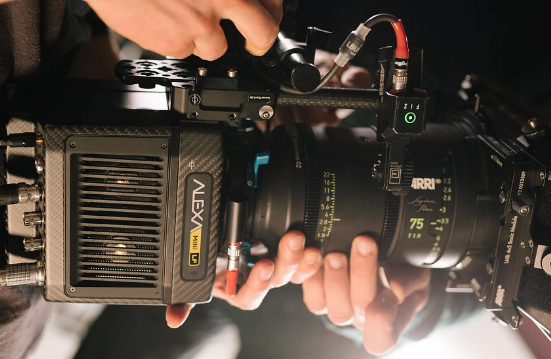 The ALEXA Mini LF is more of an evolution than a revolution. 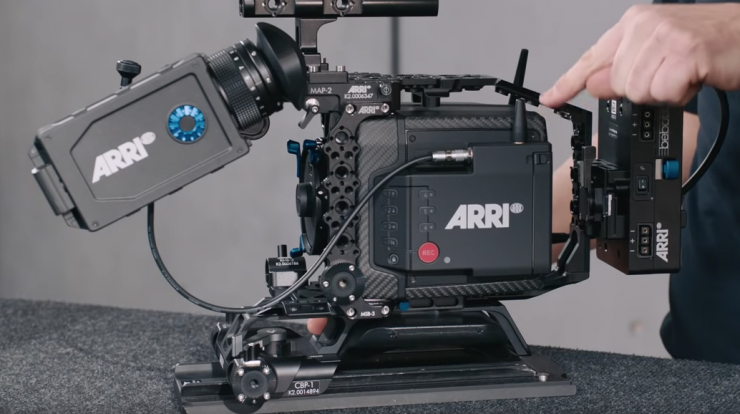 ARRI has taken everything people loved about the ALEXA Mini and put in a large sensor that solves the problem of not being able to produce a 4K image that isn’t upscaled. 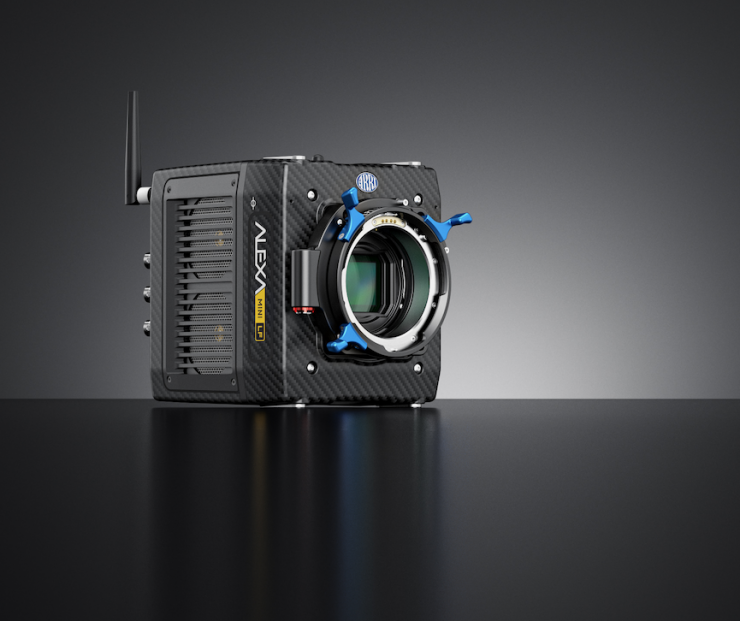 The ALEXA Mini LF records native 4K with ARRI’s renowned image quality. The ALEXA sensor everyone loves retains all of the same characteristics while delivering an immersive, larger format aesthetic for filmmakers. ALEXA Mini LF includes the same exposure latitude of 14+ stops as is the case on all previous ALEXA branded cameras. 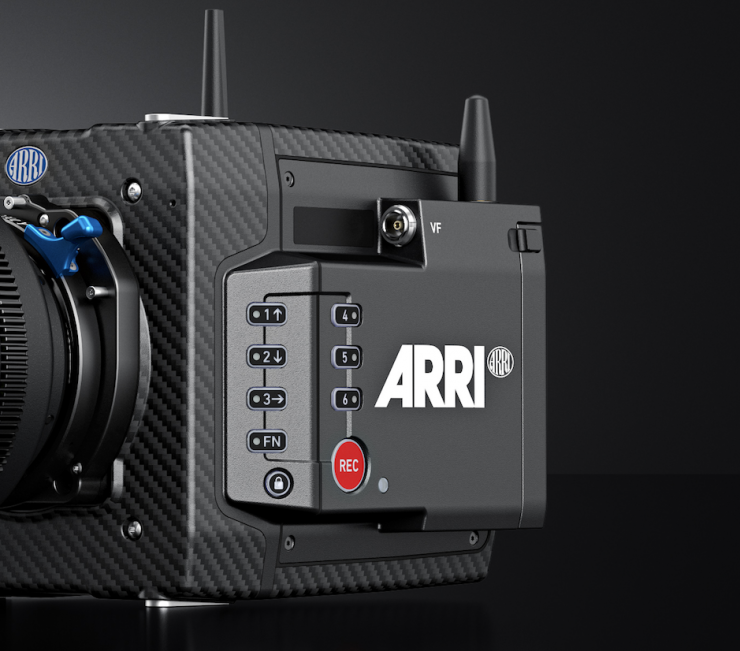 ARRI claims it features low noise while also maintaining pleasing skin tones for both HDR and WCG workflows. It’s no surprise that the Mini LF shares the same sensor as the Alexa LF. 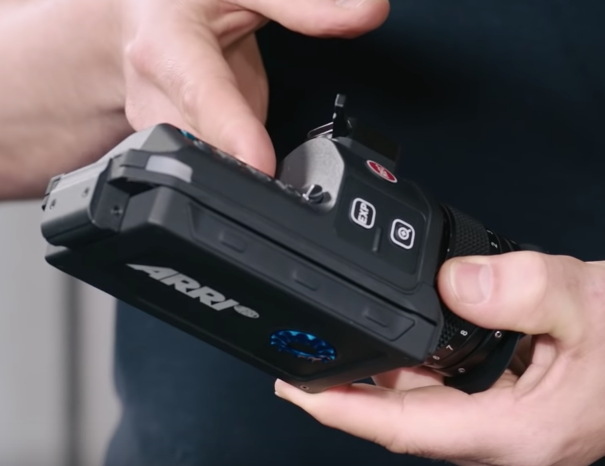 The ALEV-III sensor is almost 9 years old, and I have a feeling that ARRI got it so right back then that they haven’t been able to improve on it. Above you can see what resolutions and frame sizes are available. Now, even though the Mini LF can take advantage of full frame lenses, you can also use quite a lot of Super 35 glass if you shoot in the LF 16:9 mode which uses the smallest area of the sensor. This LF 16:9 mode is also Netflix approved. Unlike the ALEXA LF which uses SXR Capture Drives or SxS PRO+ Cards, the ALEXA Mini LF records to new Codex Compact Drives. 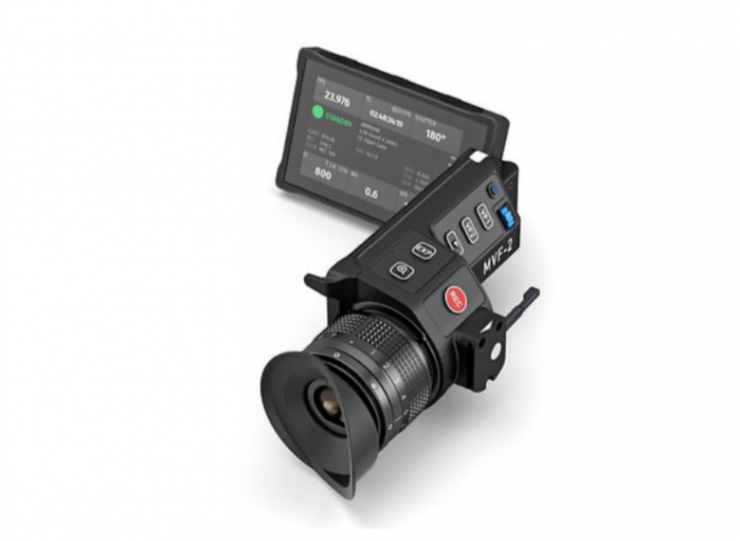 The drive will be formatted by the ALEXA Mini LF in the UDF format for ARRIRAW and ProRes. Therefore, both ARRIRAW and ProRes can be recorded onto the same media without reformatting or switching drives. 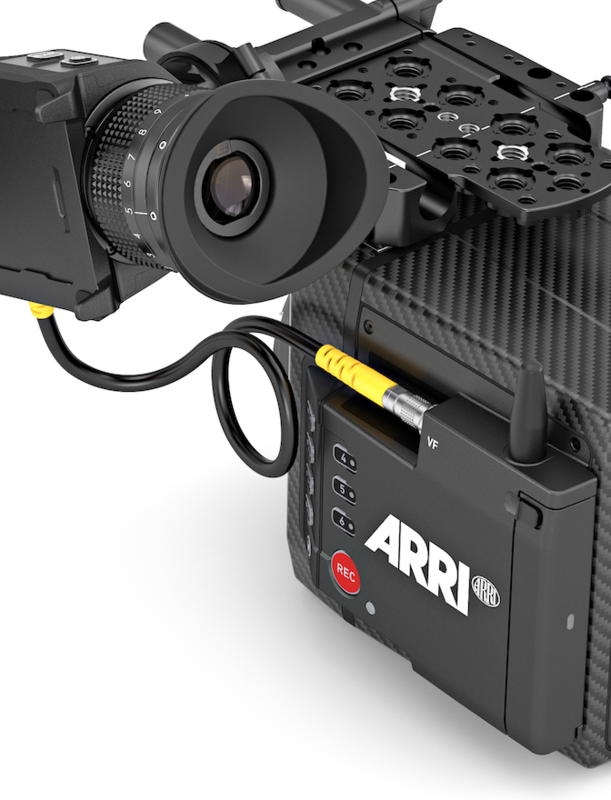 ARRI will also use this media for future cameras. Codex High Density Encoding (HDE) uses sophisticated, loss-less encoding to reduce ARRIRAW file sizes by around 40% during downloading or later in the workflow. This lowers storage costs, shortens transfer times, and speeds up workflows, which translates to a direct 40% saving in time and money. 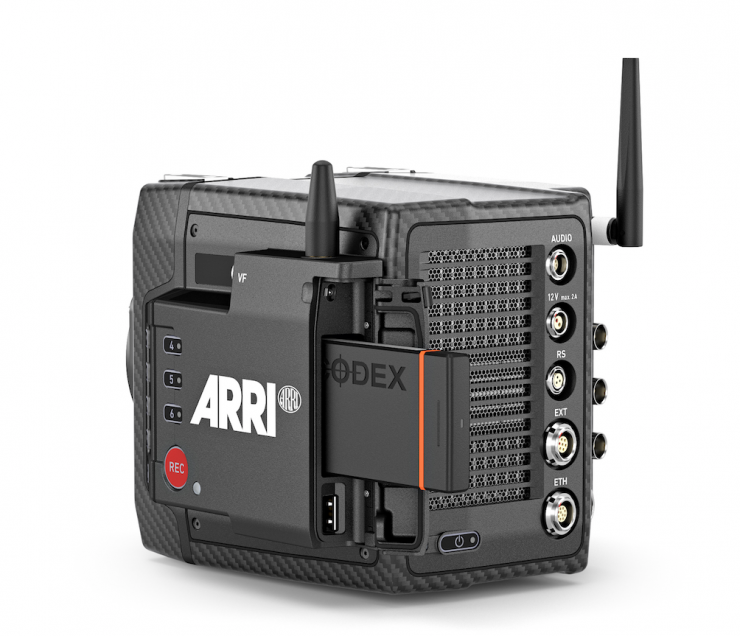 HDE is free-of-charge for use with Codex Capture or Compact Drives, openly shared, and fast: ARRIRAW Open Gate 4.5K can be encoded at 24 fps on a modern MacBook Pro. CFast 2.0 cards wouldn’t have been fast enough to use for some of the resolutions and frame rates that the Mini LF can record in. SXR Capture Drives were too large and requite too much power. The Codex Compact Drive on the bottom, compared to the larger SXR Capture Drive at the top. These new drives are seen as an upgrade to a more professional, robust recording media. 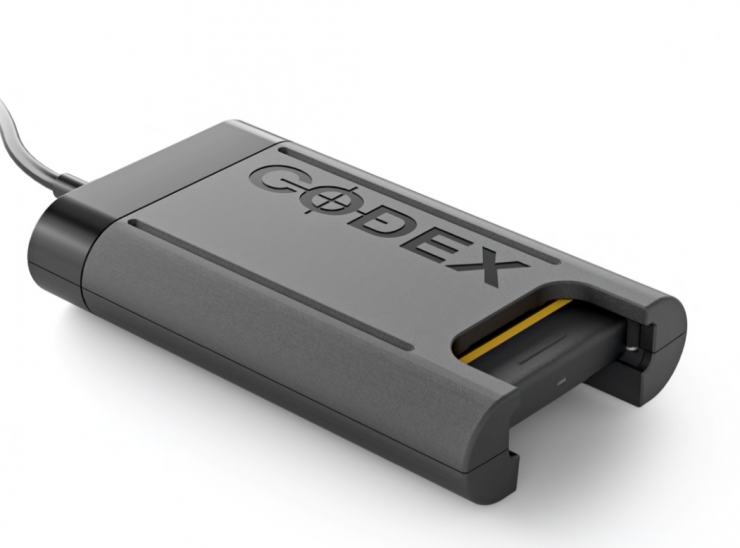 The Codex Compact Drives are enclosed in a rugged aluminum housing. 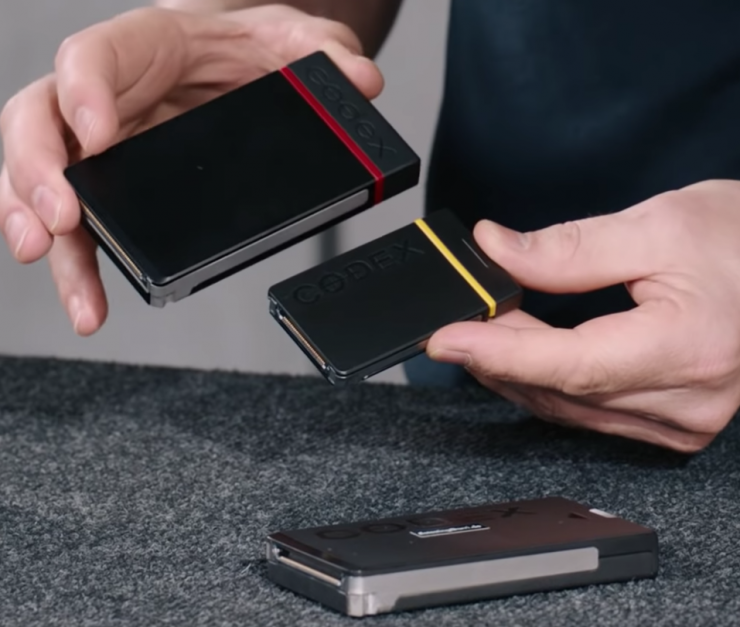 The Codex Compact Drives will only be available in 1TB sizes at launch. They have transfer speeds of 8Gbps and a 1TB Drive can capture approx. 32 minutes of 4.5K ARRI RAW in LF Open Gate and LF 2.39:1. 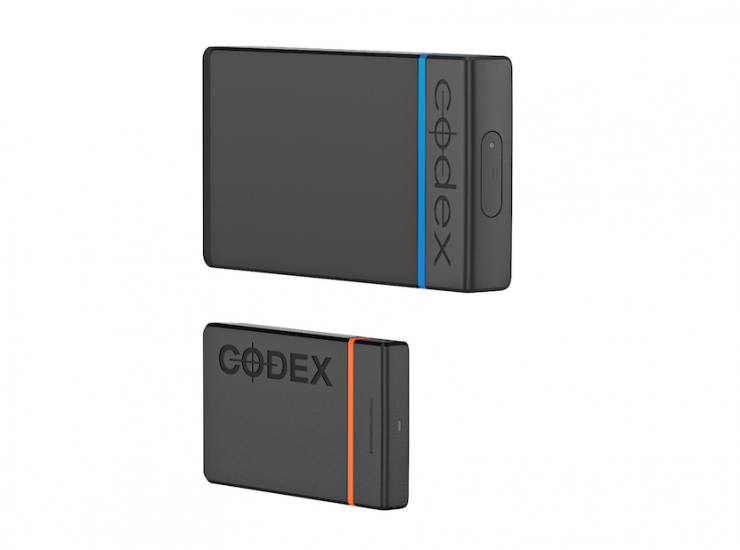 You don’t need any software or drivers to read the footage from the Codex Compact Drive Reader. 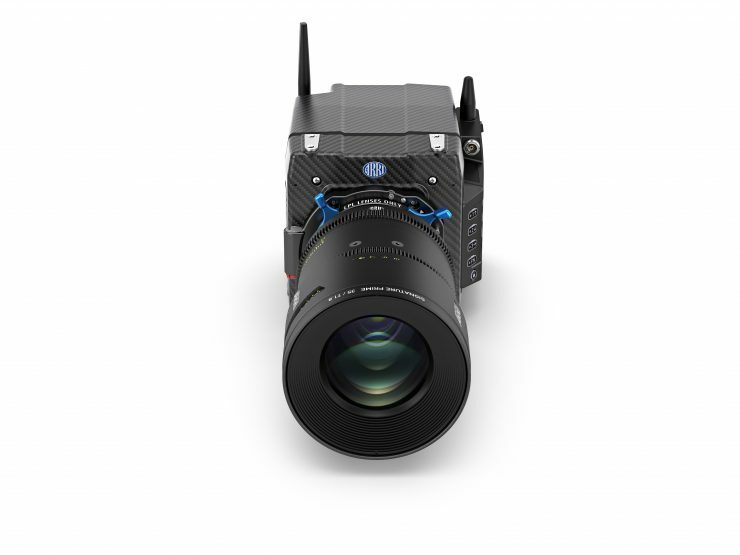 Just like the ALEXA LF, the ALEXA Mini comes with a LPL lens mount, which is optimized for large format sensors. 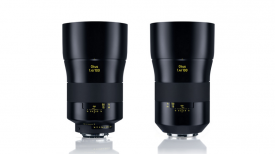 The LPL mount features a wider diameter and shorter flange focal depth that allows it to accommodate the ARRI Signature Prime lenses and all future large format optics too. The LPL mount features a larger bore to accommodate telecentric lens design for the larger sensor. 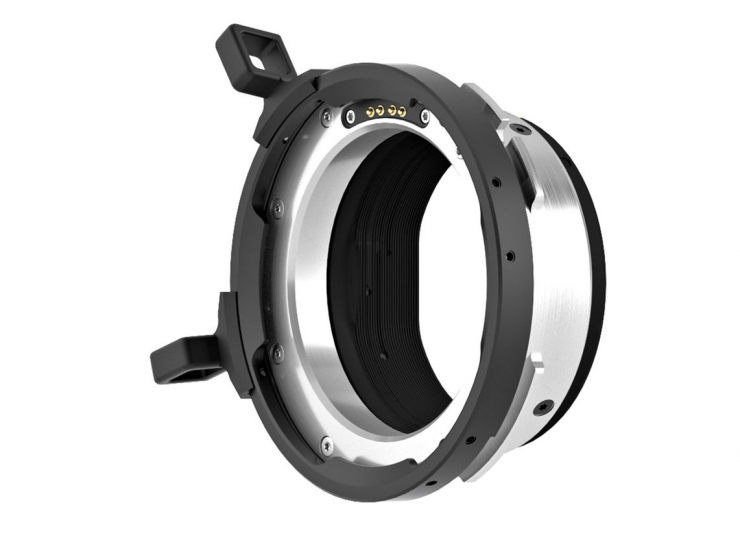 The LPL mount transfers LDS and Cooke /i protocol and is LDS-2 compatible. 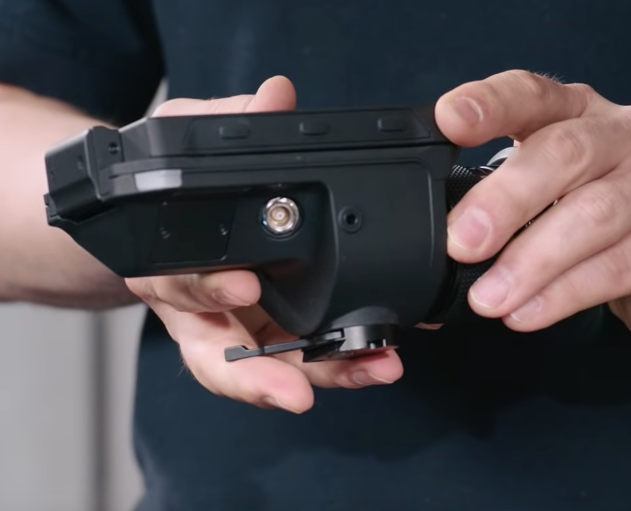 The ALEXA Mini LF doesn’t ship with a PL-to-LPL Adapter so you can use existing compatible lenses on the new camera. It is an optional extra, but you can purchase it as part of an ALEXI Mini LF package. The adapter features black earlobes, while the LPL mount includes blue earlobes. You can set the mount and adapter to 12:00 or 3:00 to accommodate either LDS or /i lens data.. The adapter passes LDS protocol and is LDS-2 compatible. 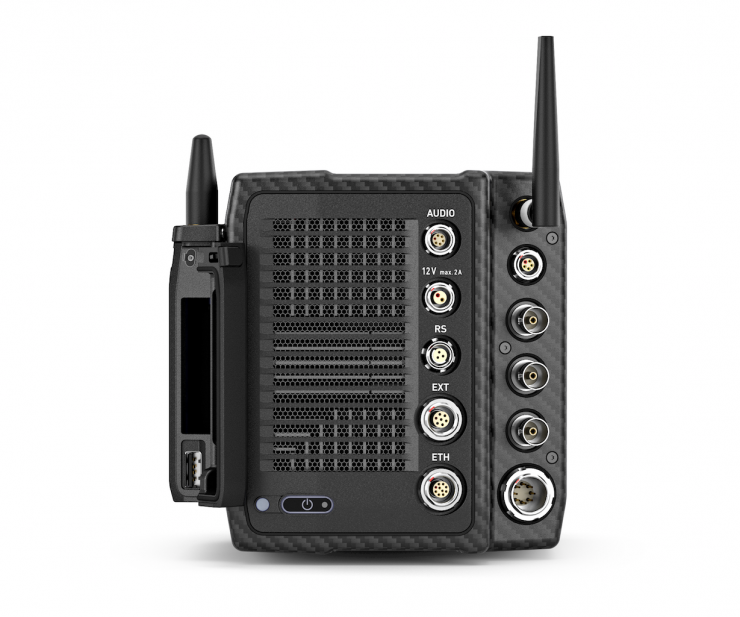 The ALEXA Mini LF has two built-in microphones for capturing scratch audio. 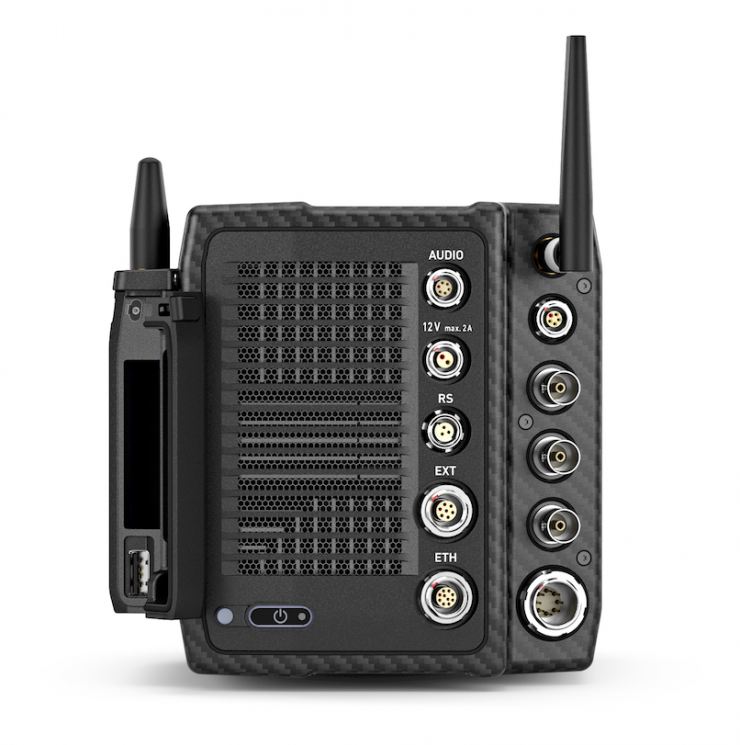 The ALEXA Mini LF features a dedicated onboard WiFi radio which offers wireless camera remote control via the ALEXA Web Remote. It also can handle color management. There is also a new external WiFi antenna for improved range. 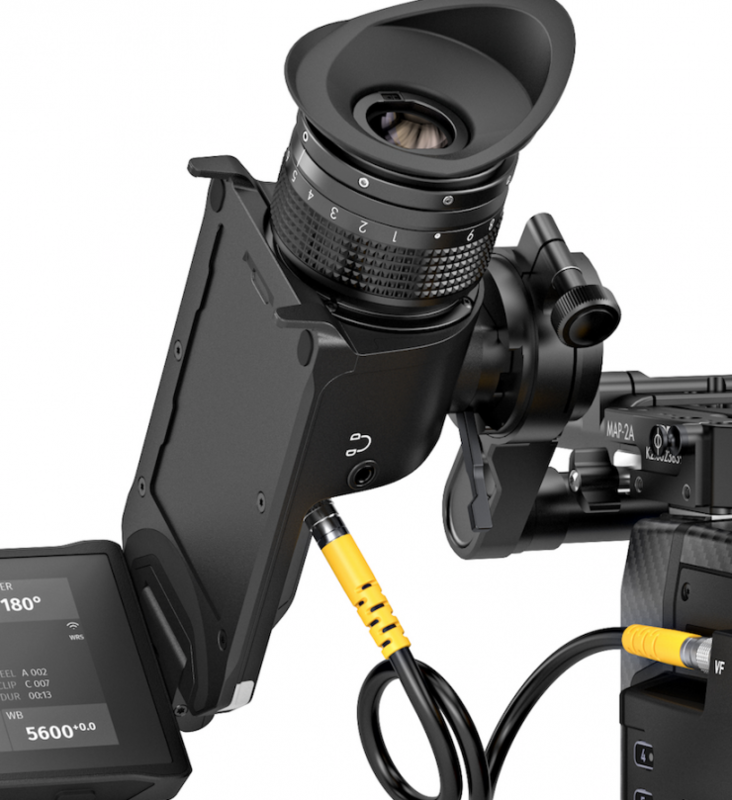 The ARRI ALEXA Mini LF also gets a new viewfinder. 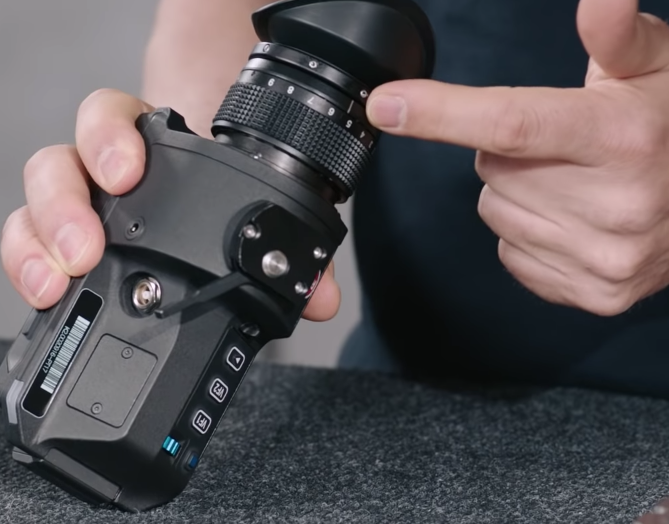 The new viewfinder called the MVF-2, has a familiar form factor and keeps the same combination of EVF and flip-out LCD from the existing ALEXA Mini. 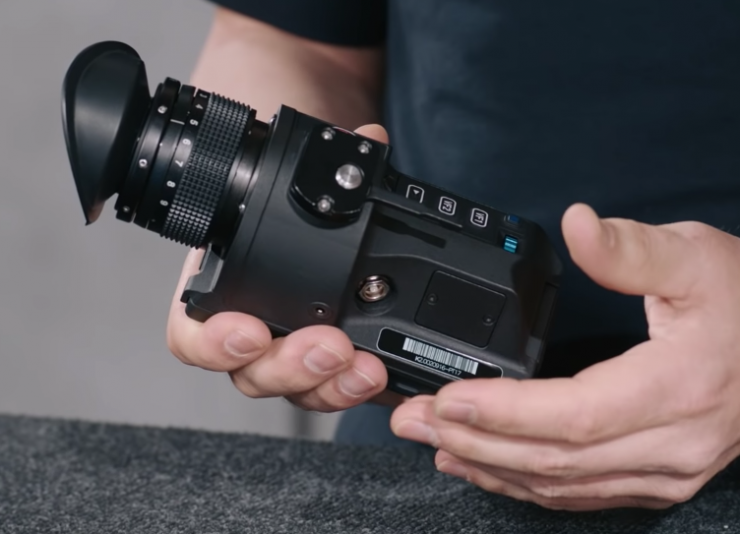 While it does look similar, it is a completely new design and a lot higher quality than the previous ALEXA Mini viewfinder. It also features a 4″ instead of a 3″ LCD screen. 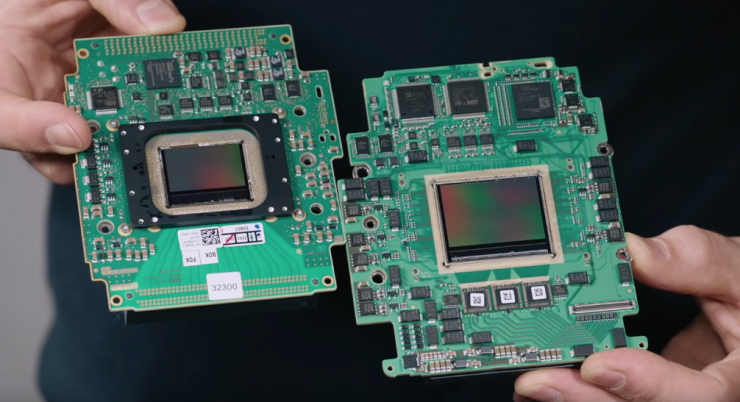 It’s interesting to see that the connector that runs from the camera body to the MVF-2, is located on the left hand side module. The MVF-2 is a low latency (≤1 frame delay) electronic color viewfinder with 1920 x 1080 high contrast OLED display and 4″ IPS/LCD flip-out monitor. The MVF-2 is a low latency (≤1 frame delay) electronic color viewfinder with 1920 x 1080 high contrast OLED display and 4″ IPS/LCD flip-out monitor. The image exhibits high resolution, high contrast, low distortion, and an evenly illuminated viewing area. 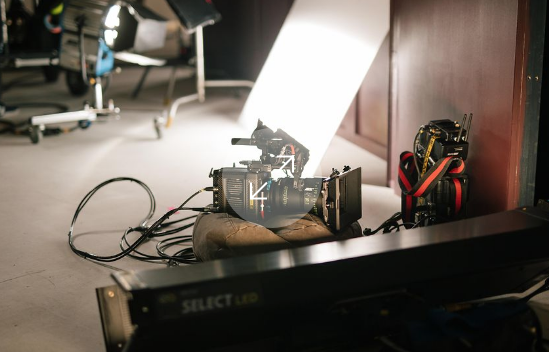 It includes a state-of-the-art OLED engine, which has a high screen refresh rate, plus an ARRI optical design which employs the highest quality coated glass optics. 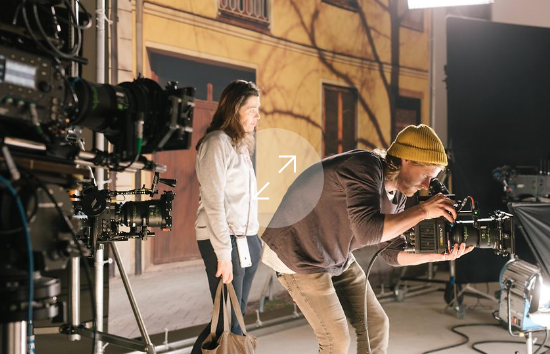 Reliable color reproduction at all temperatures is assured through the auto-calibrating, temperature controlled ARRI LED light engine. The MVF-2 uses new, reliable and flexible VF cables, features a built-in eyepiece lens heater for de-fogging and a built-in 3.5mm headphones connector. I’m not sure if I like the placement of where ARRI have put the jog wheel on the MVF-2. 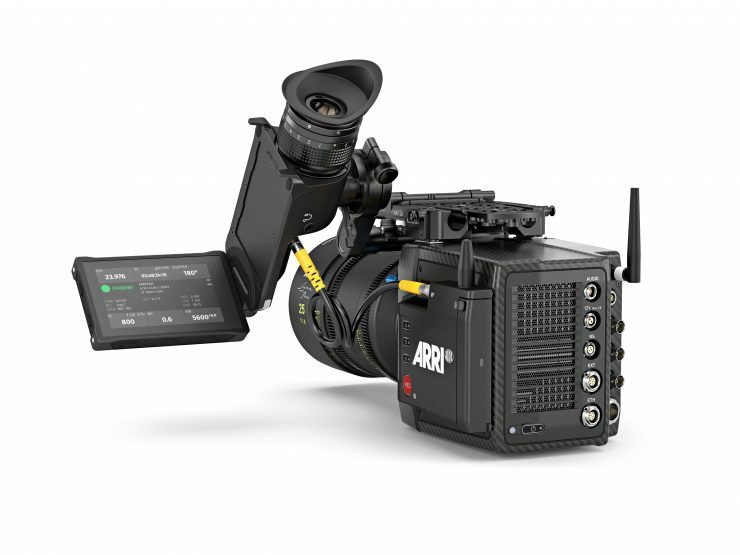 ARRI has made the MVF-2 HDR compatible so once a higher demand for HDR monitoring occurs they can implement a software update so you will be able to monitor your images in HDR. One thing that is nice is that you can take the MVF-2 off the camera and then use a 10-meter extension cable if you want to control the camera via a hard-wired connection. There is also a built-in eyepiece heater. 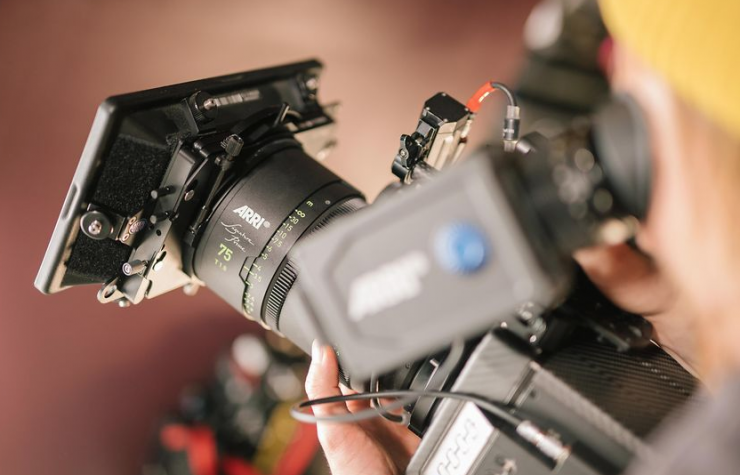 One thing to note about the new MVF-2 Viewfinder is that it cannot be used on other ARRI cameras such as the original ALEXA Mini, or AMIRA. 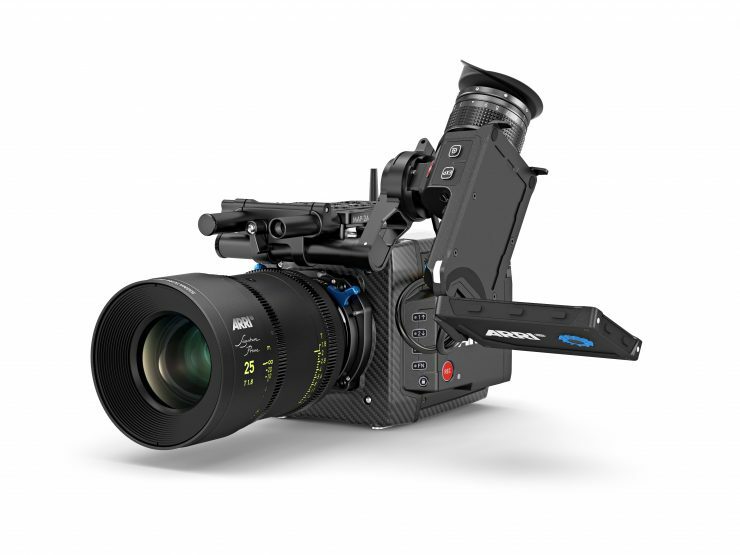 In saying that, ARRI says that the MVF-2 will be the viewfinder they will use for all future cameras to come. With the Free ARRI Frameline Composer App, you can create custom frame lines online, based on your specific requirements. This is actually being replaced today with a combined lens illumination guide and frameline composer all-in-one tool. 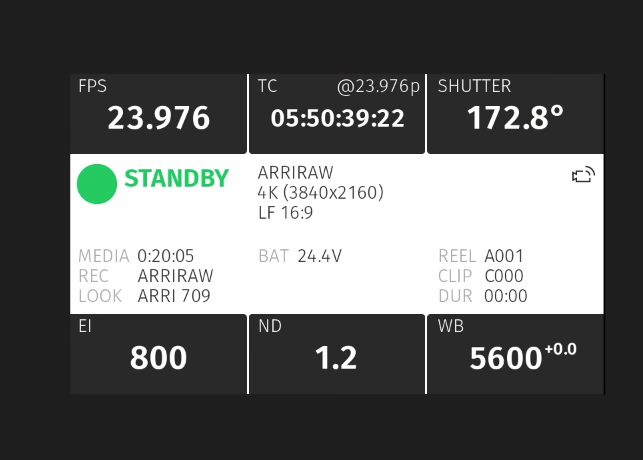 With the ARRI Formats & Data Rate Calculator (FDRC) online tool, you can calculate the record durations and data rates of your different camera settings (combinations of camera model, codec, resolution, project rate, sensor speed, recording media, and audio on/off). 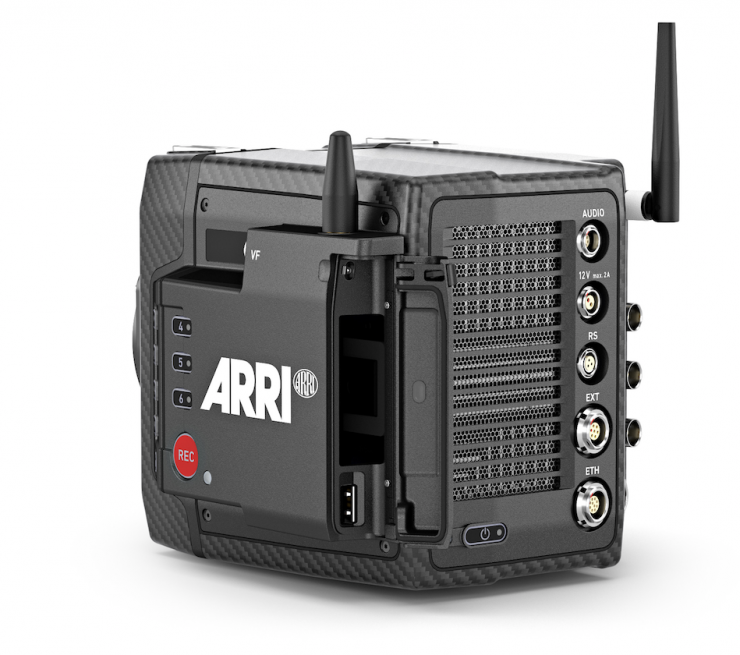 The camera supports ARRI Look Files available for SDR, HDR PQ, and HDR HLG. 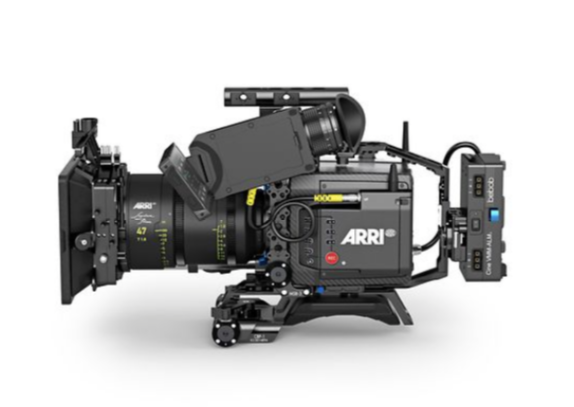 ARRI ALEXA LMini F offers 16-bit linear in ALEXA Wide Gamut/Log C color space. It includes Target output color spaces: Log C, Rec 709, Rec 2020. You can also obtain a free color tool from ARRI, their ARRI Color Tool (ACT). 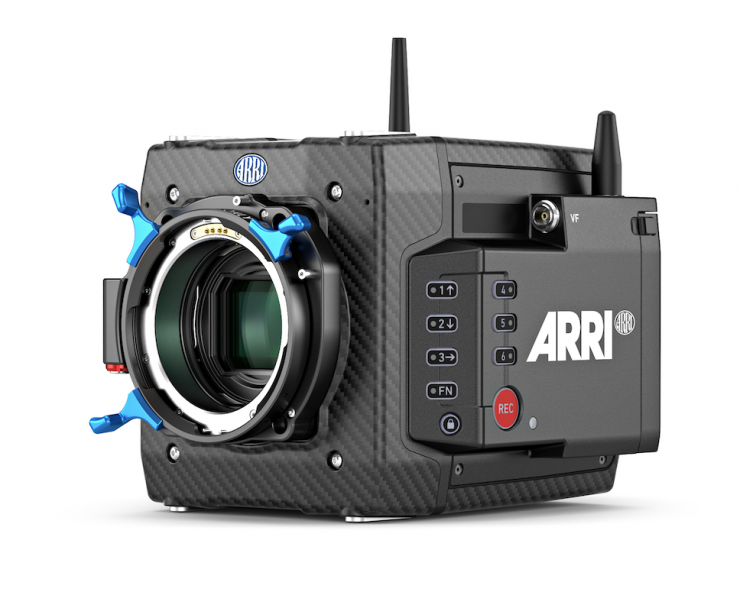 The Alexa Mini LF is just another camera in ARRI’s lineup and it will still continue to manufacture and sell the current Alexa Mini. 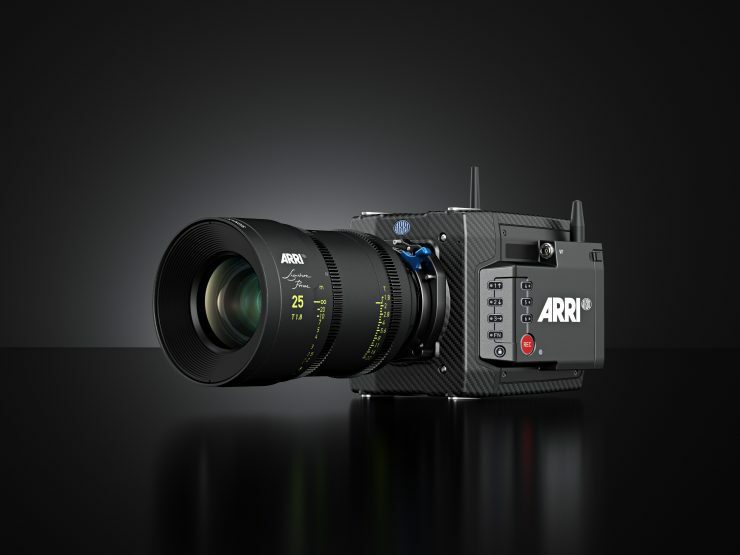 ARRI is smart enough to realise that that not everyone needs or wants to shoot with a full frame sensor camera. 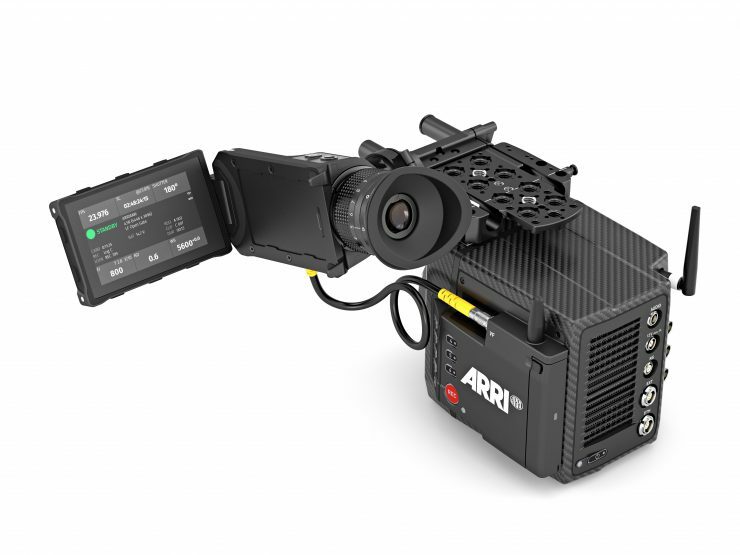 Given that a lot of potential customers of the Mini LF will still want to shoot Super 35 material, ARRI have said that they are looking into adding Super 35 recording formats in the form of a future Software Update Package. 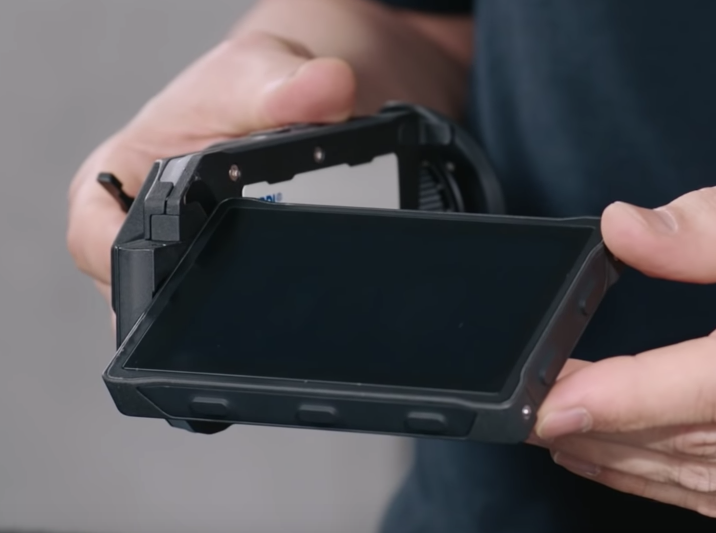 Will existing ALEXA Mini accessories still work? In short yes. Most existing ALEXA Mini accessories will still fit and work on the Mini LF. The only items that wont are brackets that were designed to go down the left hand side of the body. As there is now a module sticking out that wasn’t found on the original ALEXA Mini. 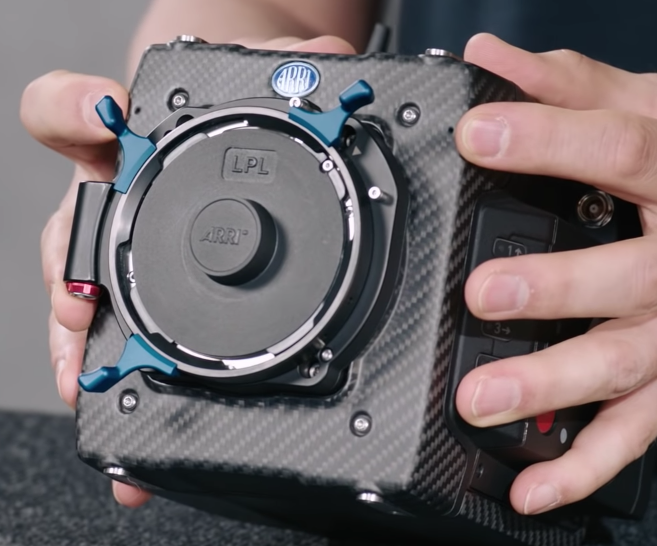 Package that includes the ALEXA Mini LF and a PL to LPL adapter will be $59,890 USD. There are bunch of accessory sets (called Ready To Shoot Sets) that include the Mini LF with LPL mount and LPL-PL adapter, or you have the opportunity to just purchase every item individually. 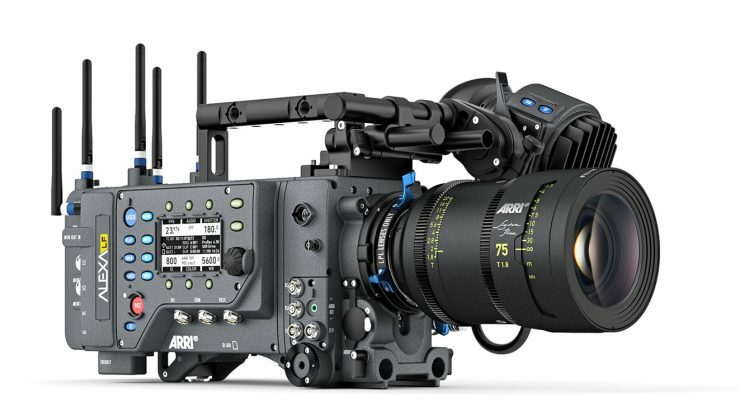 While this is still serious money, it’s not nearly as expensive as the ALEXA LF. As a comparison the existing ALEX Mini sells for $47,800.00 USD, and the ALEXA Mini with 4:3 and ARRIRAW License Keys is $54,870.00 USD. 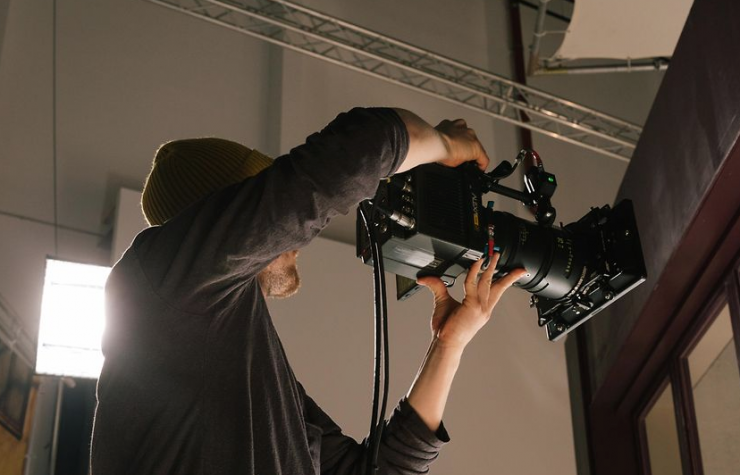 The first ALEXA Mini LF cameras are scheduled to be shipped in July. No matter which way you look at these prices, it’s still a lot of money. 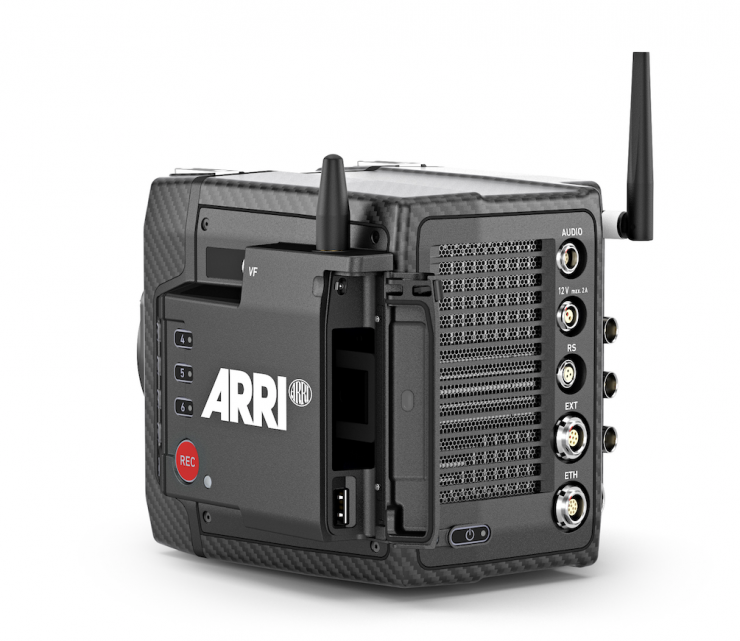 A workable ALEXA Mini LF package is probably going to set you back at least $70-80K US. As a competition comparison the Sony VENICE can be purchased for $42,000US (body only). Unlike the Sony VENICE, with he ALEXI Mini LF you don’t have to purchase any licenses to unlock features 😉. 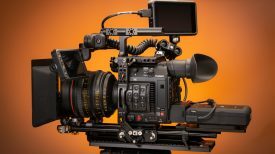 The RED WEAPON MONSTRO 8K VV is $54,500 USD body only. Despite the high price of the ALEXA Mini LF, they are sure to be snapped up by rental houses everywhere. When we are talking about movies or episodic television with huge budgets, productions won’t even blink when it comes to hiring this camera. Maybe we all expected more, but as I said earlier, if it ain’t broke, don’t fix it. 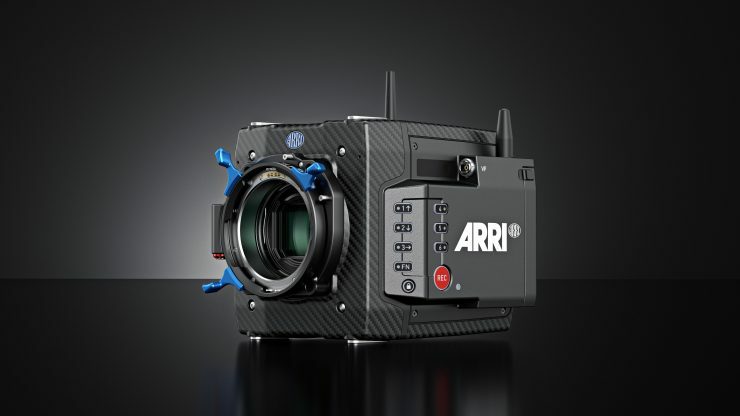 Everyone loves the image, reliability and simplified operation of the ALEXA Mini, so all ARRI really had to do was take all of that and put it into a new camera that was capable of meeting proper 4K requirements. Could they have gone further? Probably. Should they have made a camera with an even larger resolution? Maybe. 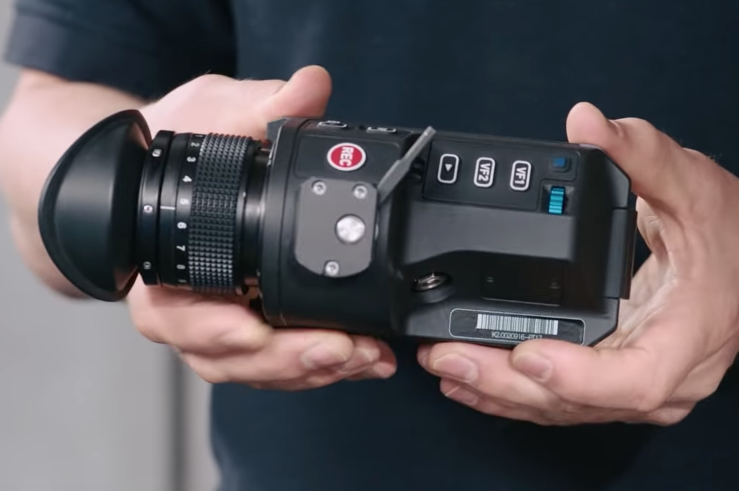 While a lot of people are going to complain about the incremental improvement in resolution and the high asking price, the actual cinematographers and camera operators that will be using this camera probably won’t. 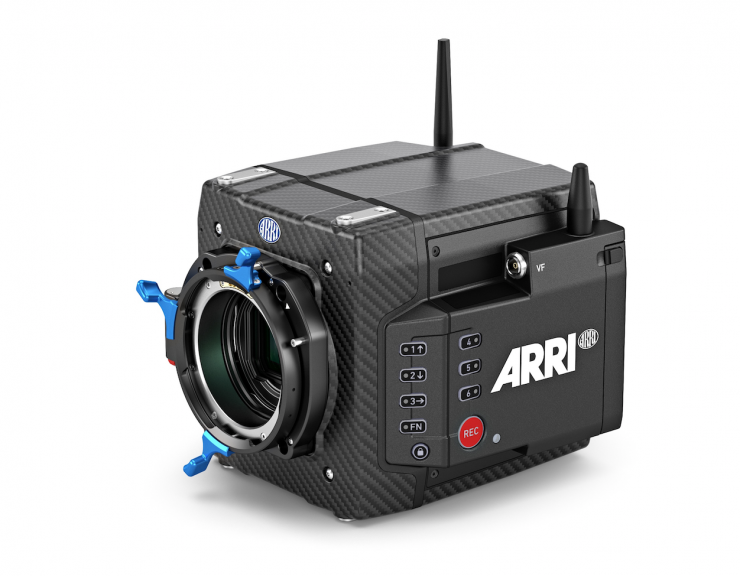 ARRI has been successful because they know the market and they know what their users want. 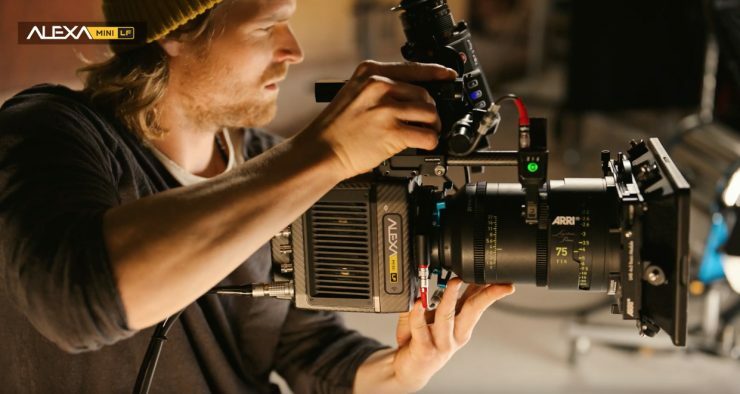 There is a reason the ALEXA Mini is such a popular camera and why ARRI dominates the high-end rental market. They don’t buy into the marketing BS, and they aren’t going to start following companies down the never-ending resolution road. 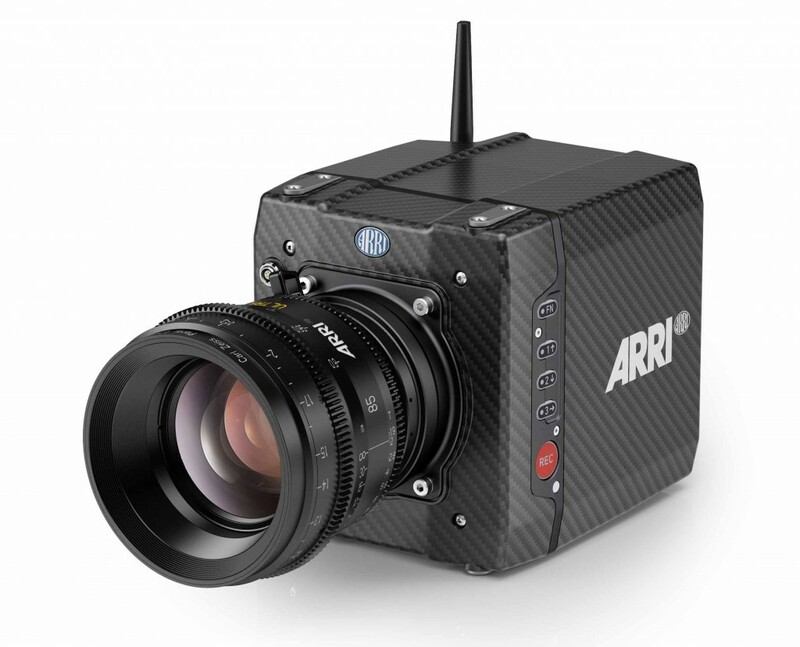 As ARRI has always said, it’s about better pixels, not bigger pixels. 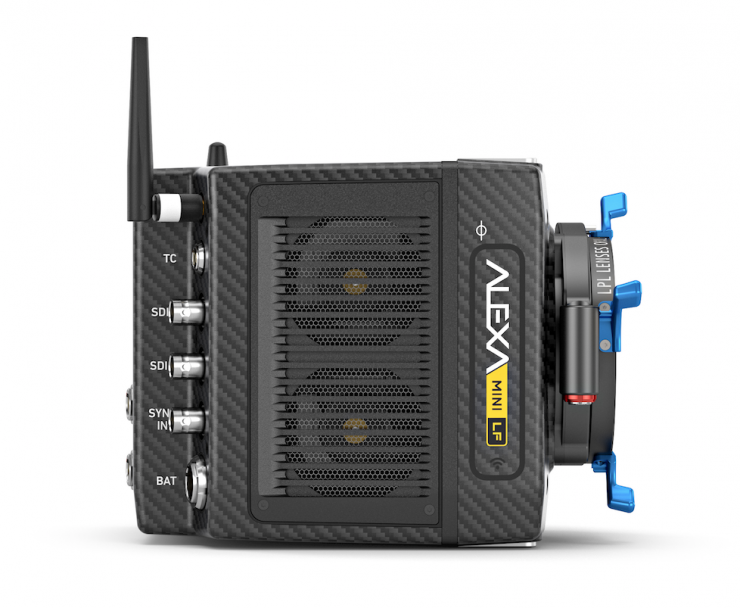 What do you think about the new ALEXA Mini LF? Let us know in the comments section below.